Elegant & Spacious town home in Sandy Springs is move-in ready,with a freshly renovated interior.New kitchen includes a granite counter top,glass tile back-splash,stainless steel appliances,modern cabinetry,carpet,paint,water heater,blinds & wide hardwood flooring throughout the entire main level.ALL NEW!New tiled shower had been built in the 2nd bathroom upstairs. Finished lower level gets great natural light and 3 additional rooms, which can be used for entertainment or media room in addition to a full bathroom. 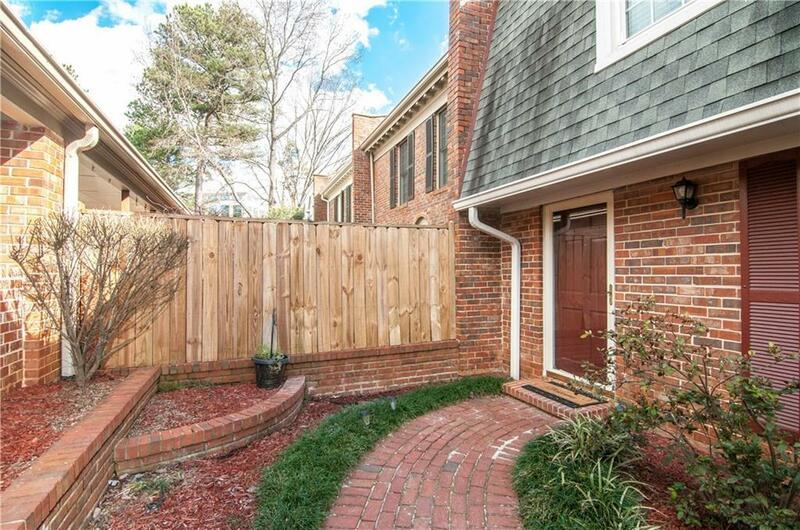 The outdoor patio faces a private, fenced-in backyard. Directions: Ga 400 Exit 5. Abernathy Dr To Left Barfield. Past Mt Vernon, Right Into Autum Chace, Right On North Chace To Back Of Community.